Why bathroom remodeling is important. 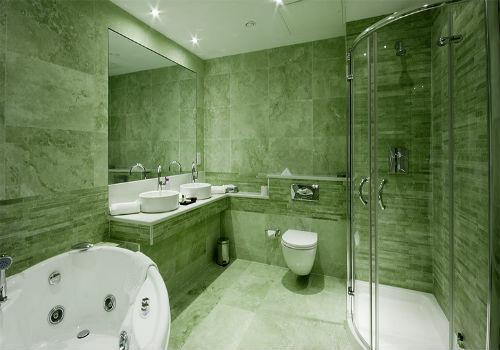 Every homeowner knows how important is to have a large and modern bathroom, and 90% of the people after they purchased their house or apartment will certainly arrange to renovate existing bathroom or kitchen - why ? Probably because majority of the people is spending approximately 30% of the life in the bathroom or kitchen. All interior architectures and designers knows how important this is for a homeowner who is renovating or building a new house, that's why they make sure to place it in a convenient location of the house and to leave enough space for all bathroom fixtures and other necessary storage. One of the most important step is when the architect/designers is planing the bathroom finishes like : Tiles, bathtub, shower, vanity or lavatory. to use/receive enough space, privacy and modern style that will fit the homeowner.